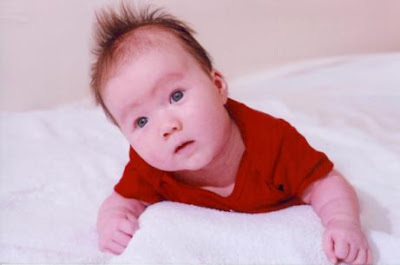 Two months after Bill C-37 came into effect in April, 2009, Rachel Chandler was born in China to a first generation Canadian father who had been born abroad and a Chinese mother, rendering little Rachel stateless under the provisions of the new Act. Before Bill C-37 became effective in April, 2009, there were 12 ways for a Canadian to lose his or her citizenship. Bill C-37 was meant to close these obscure loopholes. It closed some, but it did not close them all. The government has known all along that deserving Canadians would continue to be stripped of their nationality--- even under the new law. This is part three of a ten part series about an injustice that may outlive a number of its victims. The Canadian Citizenship Act has been repeatedly amended but never rewritten. On April 17, 2009, when thousands of people are said to have woken up Canadian (though most assumed they were anything but), the law changed in order to franchise various classes of people who by no fault of their own fell through one of Canada’s twelve-ways-to-lose-your-citizenship cracks. - As a minor child your father took out citizenship in another country. - You were a foreign born Canadian and on your 24th birthday you weren’t ‘domiciled’ in Canada. - You were a War Bride who never naturalized. - You were a War Bride child who was never naturalized. - In certain circumstances, you were second generation Canadian born abroad Canadian and you didn’t reaffirm your citizenship by your 28th birthday. - You were a border-baby, born in the U.S. because the nearest hospital was in the U.S. rather than Canada, and you were never properly registered. - In certain circumstances, your connection to Canada came through a woman rather than a man. This mainly affected foreign born, in-wedlock children of Canadian mothers and foreign fathers. - You were born out of wedlock before 1947. - You were born to a Canadian serviceman outside of Canada. - You are the child of a woman who married a non-Canadian prior to 1947. Bill-C 37 closed the door on most of these absurdities but not all. A surprising number of outstanding citizenship sinkholes still exist, most notably the one trapping people born before 1947 out of wedlock and second generation Canadians born abroad. In fact, no sooner had bill C-37 passed did Canada produce its most recent stateless child, Rachel Chandler, sired by a first generation Canadian man born abroad and a Chinese mother. This should come as no surprise, however, as a state that cannot create coherent legislation on past laws, will no doubt continue such oversight in its future. History repeats. To deal with that five percent, section 5(4) of the act was created, giving the Minister of Citizenship and Immigration authority to do the democratic version of ‘dubbing thee Canadian.’ (Senator L. Gen Romeo Dallaire, Canada’s last remaining WW1 veteran, John Babcock, and a handful of Haitian orphans, among others, have received such exemptions in case you’ve been wondering how far reaching these obscurities reach). Many of those promised 5(4)’s for people like Jackie Scott, however, have not been forthcoming. In 2009, only 50 were given to cases like hers. The others, using the language of Bill C-37, haven’t done enough for Canada to warrant the grant.